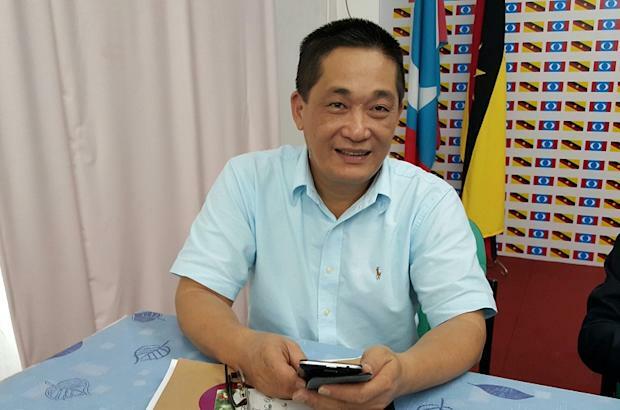 KUCHING, March 7 — The Petroleum Development Act (PDA) 1974 and Territorial Sea Act (TSA) 2012 must either be repealed or amended before Sarawak can have full control over all petroleum activities in its waters, according to Batu Lintang assemblyman See Chee How. The PKR man said PDA has vested in national oil corporation Petronas the entire ownership and the exclusive rights, powers, liberties and privileges to the exploration and exploitation of the country’s petroleum resources, whether onshore or offshore. He added that Petronas also is vested with the control over the downstream activities and development relating to petroleum and its products. “By the enactment of that Act, Petronas has completely taken away all our rights, power and privileges over the petroleum resources deposited and found within the territorial boundary of Sarawak,” said See who is also a lawyer. Pursuant to PDA, See said Sarawak had signed the Tripartite Agreement with the federal government and Petronas purportedly “to irrevocably grant in perpetuity and convey to and vest in Petronas” the ownership in and the exclusive rights, powers, liberties and privileges of exploring, exploiting and obtaining petroleum whether lying onshore or offshore of Sarawak. Although the PDA and the Tripartite Agreement were under the regime of the Emergency Orders which have now being revoked, See said the Act of Parliament and Agreement still stand and are of effect until they are repealed, amended or rescinded. See claimed the TSA was unconstitutionally enacted to limit Sarawak’s territorial jurisdiction to merely three nautical miles from the shore instead of 300 nautical miles. The Sarawak PKR vice-chairman urged Chief Minister Datuk Patinggi Abang Johari Openg for an assurance from Prime Minister Datuk Seri Najib Razak to repeal or amend both the PDA and TSA, and to rescind the Tripartite Agreement. “In fact, section 6 of PDA 1974 expressly provides that it is the sole power and prerogative of the prime minister to grant permission for any activities involving downstream petroleum development and operations, including processing or refining of petroleum or manufacturing of petro-chemical products from petroleum. “By the Petroleum Regulation Regulations made by the Prime Minister, Petronas is the body which was granted all the rights and power to issue licences in the prospecting, exploiting, obtaining, development and supplies of petroleum resources in the country,” See said. At the launch of the state-owned Petroleum Sarawak Berhad last night, Abang Johari had said that the state government would assume full regulatory authority over the upstream and downstream aspects of the oil and gas industry in Sarawak, by July this year.